Looking for a movie recommendation engine you can trust? Try itcher’s personalised recommendations. After years of being seen as low-rent entertainment, television movies grew in complexity and production quality during the latter half of the 80s. This was largely due to cable television entering the market: networks like HBO could make films with fewer content restrictions, allowing for the type of graphic content normally only seen in feature films. In turn, commercial broadcast networks would up their game as well, pushing the levels of censorship as far as possible without incurring the wrath of advertisers. This made television films more lucrative, resulting in bigger stars gracing the small screen and adopting bigger and better production values. With that in mind, let’s look at several good TV movies from the era that showed the growth and potential of the genre. In this HBO film, Rachel Ward plays an Australian schoolteacher being held for ransom with her students by a group of menacing, masked thugs. After making a break from their kidnappers, teacher and students must fend off their attackers using only crude weaponry and their wits. A violent, edgy thriller with a strong turn by Ward, ‘Fortress’ is an early example of how cable television films could push the envelope much further than their broadcast network contemporaries. This WWII thriller based on real events, focuses on a group of concentration camp prisoners desperately plotting an escape before their cruel Nazi captors execute them. 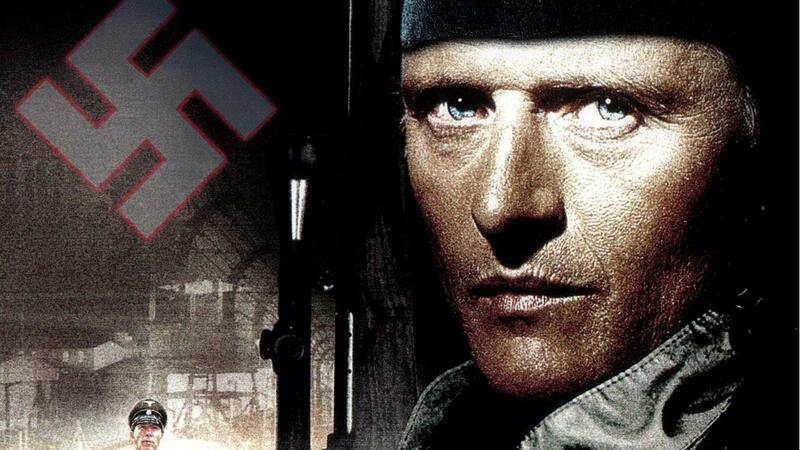 Led by Alexander Pechersky (Rutger Hauer) and Leon Feldhendler (Alan Arkin), the prisoners plot a painstaking plan for their path to freedom, but this will be paved with blood and perilous sacrifice. An intense, cathartic experience, ‘Sobibor’ is an emotional, grueling film, anchored by Hauer’s Golden Globe winning performance. It’s one of the most engaging historical thrillers of its kind. Adapted from the novel of the same name, ‘Woman’ stars Adrian Rawlins as Arthur Kidd, a solicitor out to settle the estate of Alice Drabow, a recently departed reclusive widow. Upon visiting her remote British village, Kidd suspects the local townsfolk are reticent to discuss the mysterious woman and her eerie, mixt-covered mansion. Soon, Kidd believes he’s being pursued by Drabow’s ghost, a malevolent spirit unhappy that he’s unraveling her secret past. A wonderful old-school ghost story, ‘The Woman in Black’ boasts chill-inducing, spooky thrills, making for a film more engaging than the tepid 2012 remake starring Daniel Radcliffe. ‘Takedown’ features Los Angeles Homicide Sargent Vincent Hanna (Scott Plank), hell-bent on taking down a gang of ruthless bank robbers led by Patrick McLaren (Alex MacArthur). Despite being at opposite ends of the law, Hanna and McLaren are flip sides of the same coin: both so obsessed with their professions that they’ve jeopardized their personal relationships. Things come to a head when cops and robbers engage in an explosive shootout following a bank heist, culminating in a final showdown between each faction’s alpha male leaders. Fans of Michael Mann’s ‘Heat’ will find the plot of ‘Takedown’ very familiar, and that’s not by accident. Mann would later recycle the storyline for the classic 1995 crime thriller starring Al Pacino and Robert DeNiro. Many shot compositions and character names are identical. And while ‘Heat’s’ big name cast and feature film production make it superior, ‘Takedown’ is a fascinating look into Mann’s stylistic elements in a small-screen setting. ‘The Flash’ is the origin story of Barry Allen (John Wesley Shipp), a forensic scientist capable of running at super speeds after a freak chemical accident. With assistance from fellow scientist, Tina McGee (Amanda Pays), he learns how to utilize his newfound abilities, deciding to devote them to fighting crime. But this quest for justice turns personal after his brother (and fellow police officer) is murdered. It’s up to Allen to find the killer and embrace his super heroic destiny as The Flash. Influenced by Tim Burton’s 1989 ‘Batman’ film, ‘The Flash’ benefits from a Danny Elfman score and a sleek, stylized superhero costume. This full-length film served as a pilot for the series of the same name. But the series, one of the most expensive of its era, ran out of steam after mediocre ratings. While ‘The Flash’ was never a massive hit, it paved away for the current CW television incarnation of the scarlet speedster (starring Grant Gustin), which pays homage to its predecessor (including a recurring role from Pays). By the decade’s end, two TV movies would change the medium forever. the iconic adaptation of Stephen King’s ‘It’ would give a whole generation nightmares and prove feature film-worthy scares could translate to the small screen. And the two-hour film pilot of David Lynch’s ‘Twin Peaks’ would plant the seeds for the second golden age of television, showing that auteur-driven television in a serialized format could rival cinema in terms of character and production value. Now I turn it over to you: what TV movies from 85-90 would you add to this list? And be sure and stay tuned for my next installment, where I’ll be covering films from 1990 to 1995. In the meantime, be sure and check out my earlier entries of good TV movies from 1970-1975, 1975-1980, and 1980-1985. I’ve also included several honorable mentions below. Honorable Mentions: ‘Twin Peaks’, ‘It’, ‘Brotherhood of Justice’, ‘The Man Who Fell to Earth’, ‘Blackout’, ‘Buried Alive’, ‘Werewolf’ and ‘The Trial of the Incredible Hulk’.